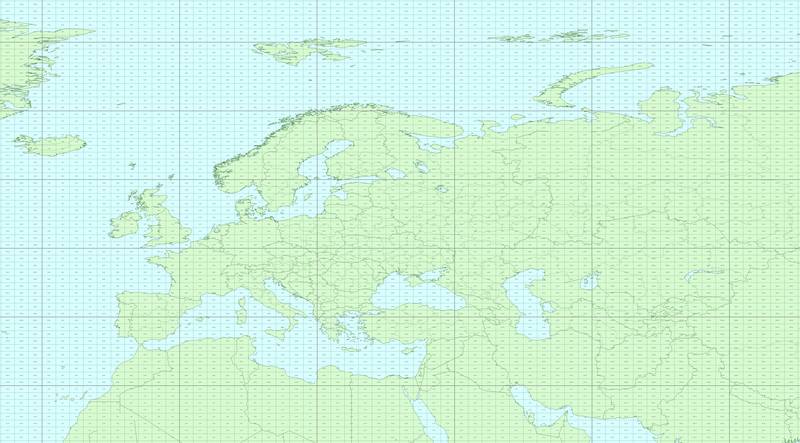 On VHF and above, it’s useful to have a way of seeing the Maidenhead Locator against a European map – DX Atlas can display these as an overlay on the current view, very useful. 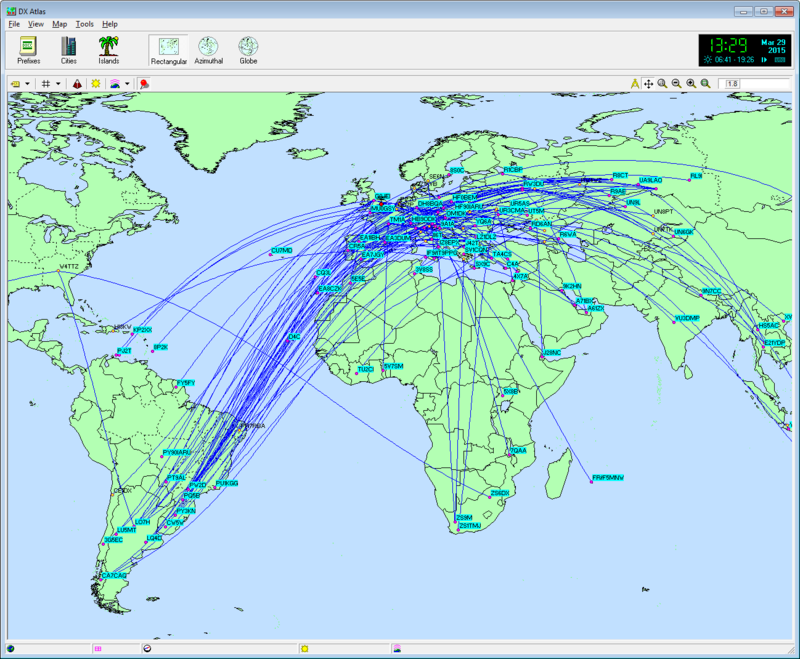 In conjunction with Band Master, DX Atlas will produce real-time point-to-point plots between the spotting station and the DX location. The example on the right shows a typical series of cluster spots which give you a clear indication of band conditions. This plot is generated from any band/mode filter in Band Master which means you can easily flick between bands to gauge “how things are sounding”. Even if you dislike “the cluster” as a concept, it’s still useful as a data gather – to see how propagation shifts over time. In a previous post, Tools for the Hobby, I outlined Band Master, DX Atlas, and other Shack-based apps which may be of interest. Going further, DX Atlas lets you save the current view as a Bitmap – so, why not position the map, take a capture, move it a bit, take another capture, and then stitch the results together? 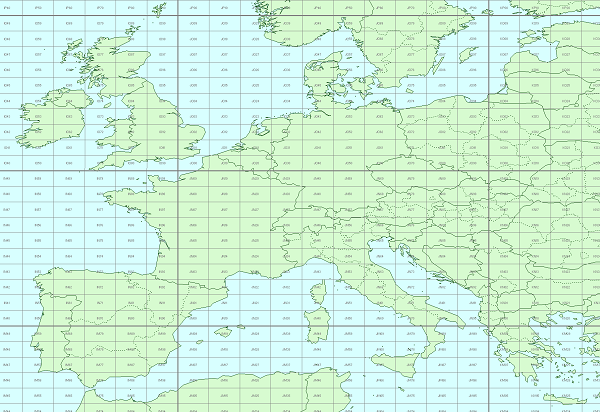 So, this is a rather quick attempt at producing a large-scale European Locator Map. 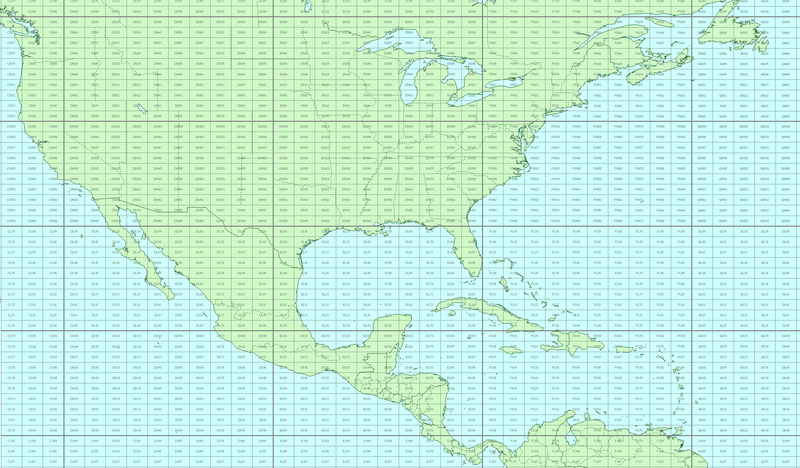 There is no copyright on this map, and DX Atlas is free software (although I encourage you to donate if you find Alex’s software useful), so you can easily make your own – I just thought I’d share mine with you. Band Master runs as a demo for 30 days and then requires $25 payment to continue being used – It’s a great program, and the live “band scale” as you tune makes it easy to see what’s around you. As it’s from the same author as OmniRig, it means that it can share your CAT cable along with PZTLog. Band Master and DX Atlas also seems to work with the telnet server of the Reverse Beacon Network.